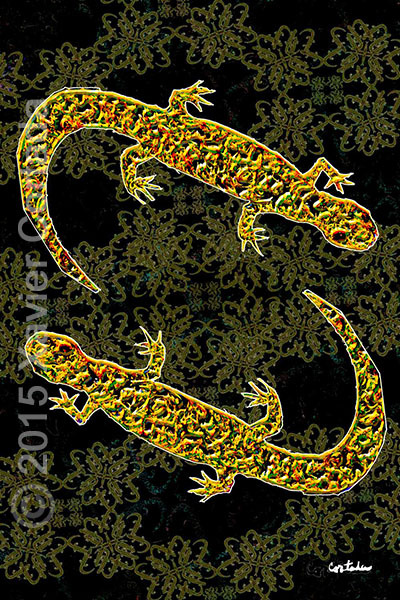 Xavier Cortada, “(Florida is…) Reticulated Flatwoods Salamanders,” archival ink on aluminum, 60″ x 40″, 2015. The main threat to the reticulated flatwoods salamander (Ambystoma bishopi) is loss of habitat. Pine flatwoods-wiregrass habitats have suffered rapid loss in the southeast due to agriculture, silviculture or commercial/residential development.